WHO IS MISHAEL AUSTIN WITTY? I’ve stressed the importance of characters a lot on this blog because I really, sincerely believe that THEY are what makes your story great. It’s not about flowery prose, and it’s not even about a perfectly executed plot (although plot structure is important. I’ve noted that). It’s more about creating characters that seem REAL to the reader, and who absolutely drive the plot of your story as much as the plot and events of the story drive them. That’s what makes writing fiction so fun. You’re not as in control as you think you are. If the story you’re writing is going to be worth reading, you’ll find that, at some point, your characters are going to take over. But, in order to do this, you have to have characters that are well-rounded. If all your characters are flat, your story won’t go anywhere – at least not anywhere exciting. Let’s take a minute to look at what flat characters are, and then I’m going to talk about how you might be creating flat characters without knowing it, and I’m going to give you one really awesome way to avoid that. The term “flat character” comes from the theater (as do a lot of our major writing techniques and terms). In the literal sense, a flat character could be a cardboard cutout figure that serves as a supporting backdrop for the main action or characters in the story. Think of a battlefield scene, like in Henry V. A cardboard cutout of human forms can give the illusion of an army while cutting out the need for human bodies to fill the roles. And, if we’re talking about living actors who are expecting to be paid for their time and trouble, using flat characters can be a real budget saver. In writing fiction, obviously we’re working in a two-dimensional space (typed words on a page), but the words we use can give the illusion of a three-dimensional space. That’s why we talk about world-building so much in fiction writing. We’re creating a whole new world. In many ways, it probably mirrors the real world in which we’re living, but in other ways it’s different – and that’s what gives each story its uniqueness. The problem with flat characters is that they STAY two-dimensional. They don’t fully enter the created three-dimensional world. They are characterized by one way of thinking or being, and they don’t change over the course of the novel, like your main character does. And, in some cases, that’s perfectly okay. Sometimes your supporting characters don’t need to change. It just mainly depends on their purpose for being in the story. An overbearing mother may need to always stay an overbearing mother to keep the main story from going off the rails (think: the stereotypical “Jewish mom,” like Sylvia Fine on The Nanny, who never ever stopped pressuring Fran to get married and have kids). Or a villain may need to always stay villainous (Dracula in Bram Stoker’s Dracula is a good example of this – he was especially single-minded in his pursuit of blood and control). Just think how different those two stories would be without those flat characters. What you DON’T want is for your main characters to be flat … or even to appear flat. Remember: flat characters can play a supporting role effectively, but that is ALL you should let them do. I’ve spoken about character questionnaires before and how they can be kind of limiting. I’ve used them before. Sometimes they’re really helpful, especially if you have no idea where to start when you’re fleshing out your characters. But, after a while, you might find that your characters’ answers to the questions all sound similar … or at least their dissimilarities don’t ring true. My favorite is blue … like, a deep cobalt blue. Your favorite color might be blue too. But how likely are you to say it is if you want to appear somewhat different or somehow better or more interesting than I am? I witness this with my two daughters all the time. They may very well like the same color, but if you were to ask them about it, they’d point blank say, “No, you’re favorite color is green; my favorite color is blue.” Just so they can differentiate themselves. Your characters are probably doing (or are likely to do) the same thing when you ask them these types of questions. Your characters may start to feel flat if they’re all answering these questionnaires the same way. Or they might seem falsely rounded if they answer them differently. So, how can you avoid this? Take yourself out of the equation. Put your characters together (you can have a flat character interview your main character, if you want), and have them ask each other questions. These character-to-character interviews can be put into your book, if they’re relevant to the plot or to something the reader needs to know about one or both of them. But they don’t have to be included in the novel itself. You can scrap them, or you can offer them as freebie email subscriber gifts (a behind-the-scenes look at the characters in the novel). These types of interviews will help you get to know the characters better by revealing things you might not have known otherwise. You still might come up with similar answers if your main character is quick to please someone else … but this is important information you need to know as you’re writing (and you can even use that information to try to develop the character further into someone who’s not so quick to please, depending on the novel circumstances). Try not to control anything because you think something doesn’t sound right, or something is too similar to something else. Let the characters talk freely. Let them introduce themselves to each other and to you. 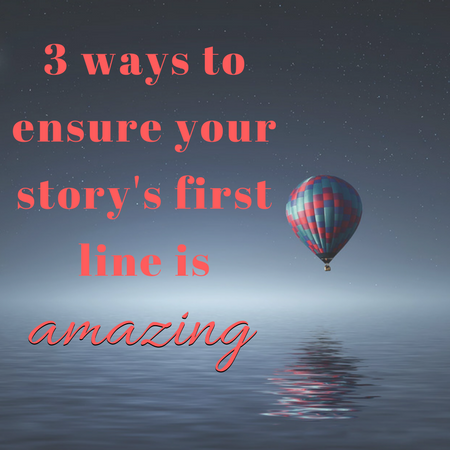 Then you’ll be more ready to introduce them to your readers, and your readers will find it harder to forget these characters who’ve become so real to them over the course of your story. What more could you ask for as an author? Hello. This is great advice. I’ve heard about interviewing characters. Sounds like a good idea to me. I have a question about characters. The protagonist overcomes his flaw or flaws in a happy ending story, yet what about the supporting cast? They also have flaws, but do they overcome them too? Does the protagonist overcoming his or her flaw affect their flaws? These are really good questions. The answer, I think, depends on how involved you want your story to be. The main character has to overcome his/her flaws/obstacles. That’s a given. I don’t think the supporting characters necessarily have to do this, but they can. And I think this can certainly affect the main character … and the main character achieving his/her goals can affect the supporting characters. I like to think about it in terms of real life. I’m the main character in my story, but my striving for my goals always affects other people in some way, as does their striving toward their goals. Everything is connected. You Spend Lots of Time Online. Why Not Get Paid for It At Swagbucks.com? Get your readers “hooked” from the very first line! Come Linky Party With Me!